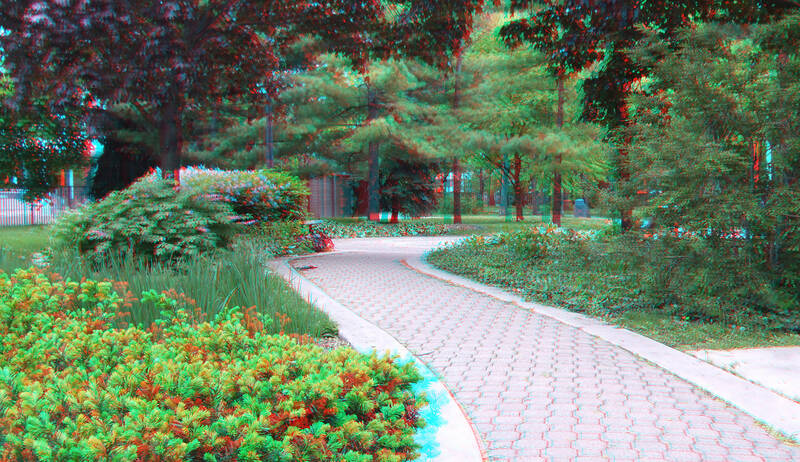 Oak Park’s Scoville Park in 3D. 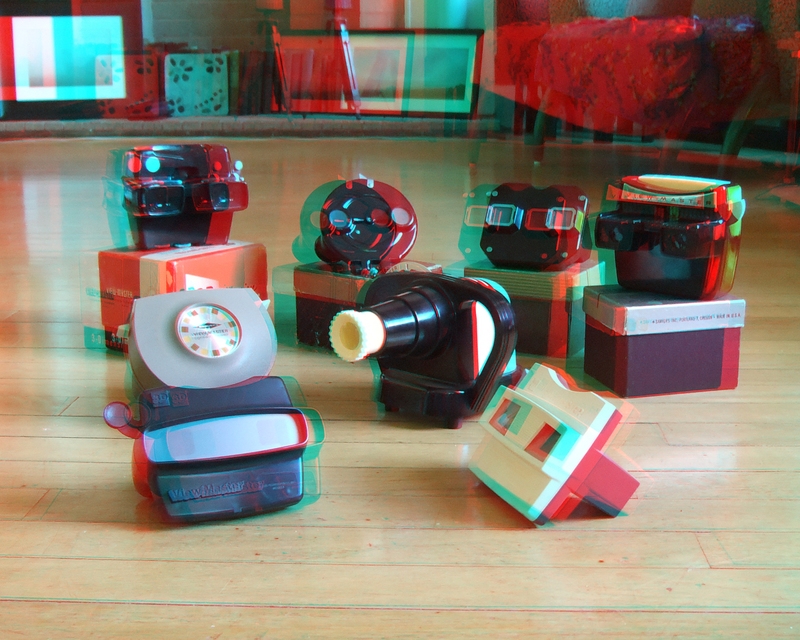 My vintage View-Master viewers (just a sampling). 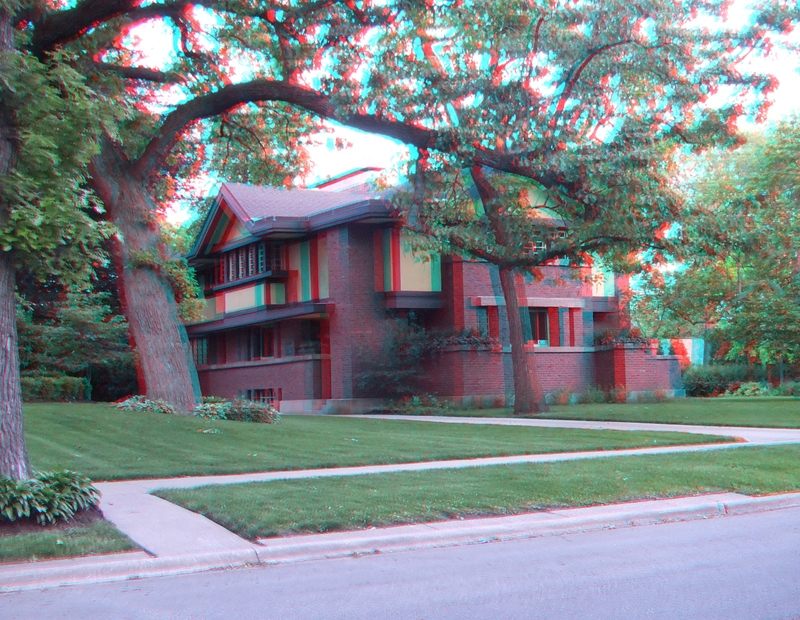 The Beachy House in Oak Park. Click on it to make it big. 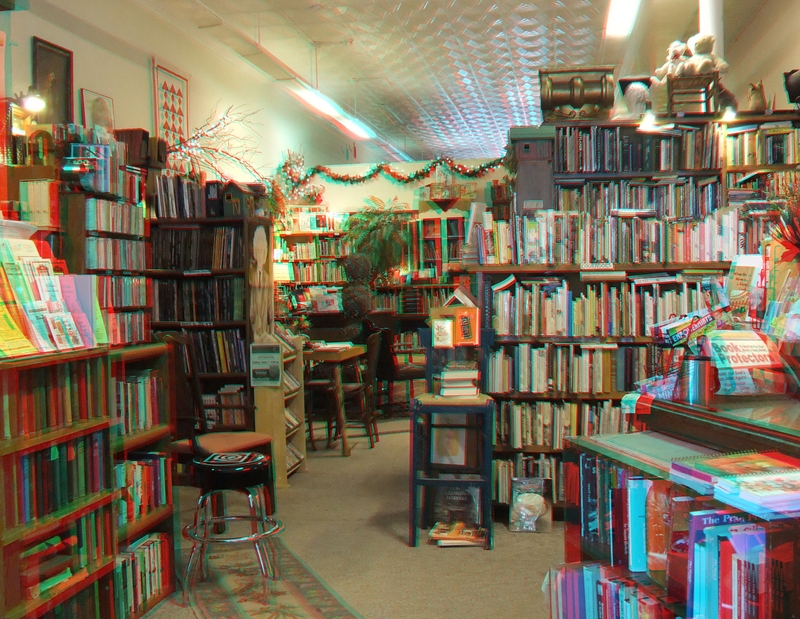 And don’t forget your 3D glasses. 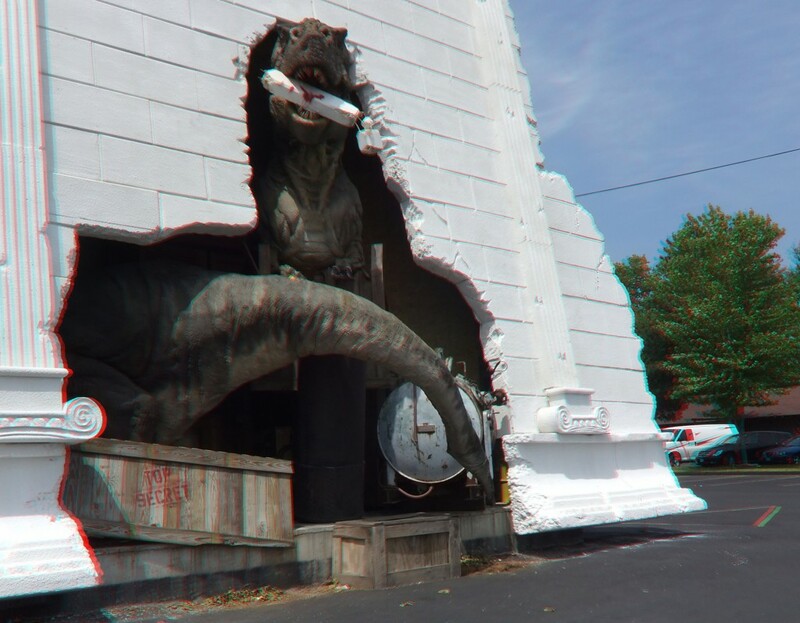 Top Secret's dinosaur crashes through the White House. 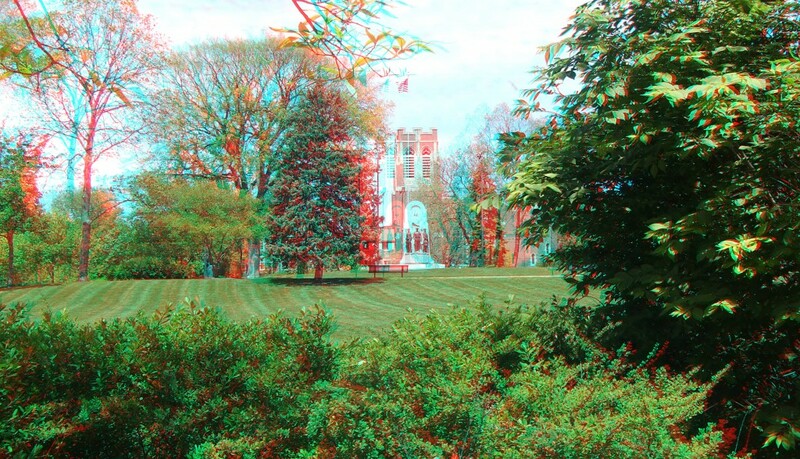 This week’s 3D photo was taken while I was visiting the Wisconsin Dells. This is a totally normal thing to see in the Dells. Which is why it’s the most weird and wonderful and inauthentic place on earth.